Teaching is a profoundly important part of my work. As the last direct pupil of Andres Segovia and of harpsichordist Ralph Kirkpatrick I feel a responsibility to pass on the secrets of the great romantic tradition that first inspired me. 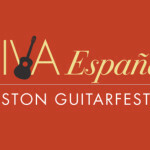 In 1996 Eliot Fisk joined the faculty of the New England Conservatory in Boston where he founded the Boston GuitarFest. 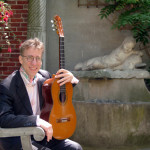 His lifelong interests in musical outreach programs in schools, churches, prisons and senior citizen centers have become an integral part of the guitar program. Audition requirements for New England Conservatory studio placement with Mr. Fisk. In addition to his performing career, Eliot Fisk has a deep commitment to teaching. 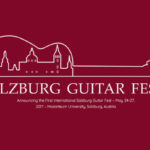 His class at the Mozarteum in Salzburg, Austria, where he is assisted by Ricardo Gallén, includes students from over a dozen different countries, many of them top prize winners in international competitions. In response to phone overuse, Eliot Fisk proposes a healthy substitute! He sends new rules to his Salzburg class at the MOZARTEUM where instruction is often in master class format. 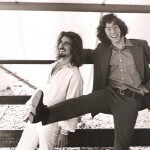 Kostas Tosidis (Greece) and Cecilio Perera (Mexico) are asked to disseminate this open letter (written in English for simplicity of communication) to the entire class. From time to time Eliot Fisk does give private lessons. You can contact him directly to check his availabaility.